The IRS uses Letter 105C to inform you they are denying your Claim for Refund. A claim for refund is a filed return where you request a refund of money from the IRS. If you do not file returns within the time limit, you forfeit any refund due to you. The claim must be filed within 3 years of the due date or within 2 years from the date of payment. Letter 105C tells you the claim is denied. Letter 106C tells you that your claim is partially denied. The IRS may also send Letter 916C telling you that your claim won't be processed. Although you have been denied a refund, at least you don't owe. But, your denied refund is not applied against other taxes you may owe. If you admit the time period has expired, then it is futile to pursue the case. But, if your case is meritorious it is possible to Appeal a claim denial within the IRS. The way to determine if you have made a timely claim is to request your "Account Transcripts" for the year(s) at issue. These are a chronological timeline for all activity on your IRS account & will tell you the date of assessment & the date the claim was received. If you discover your case is meritorious, the better option may be to sue them in US District Court since the claim denial of Letter 105C or 106C exhausts your administrative remedies. Do not be afraid of Court. 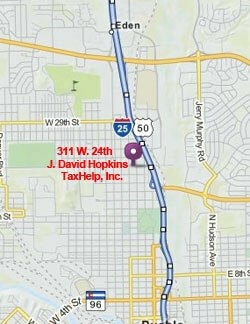 The procedures are strict, but the forum is fair and it is often less expensive than an IRS Appeal. But, you only have 2 years from the date of payment to make the claim to recover your money. 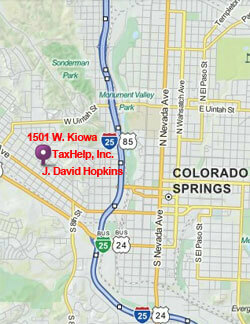 Review the Prep Steps and contact Mr. Hopkins at TaxHelpLaw in Pueblo, Denver or Colorado Springs for advice!